Okay, you have a week in Belize and you want to see it all… who do you call? Green Horizons Flats Fishing! These are fun and easy day trips where the day’s drive will take you through typical Belizean villages, farms, wildlife, extraordinary palm trees and gorgeous Flamboyant trees in bloom, roadside vendors, free-range chickens, goats, and horses. Our Driver will point out things of interest to you and share a little of the history of Belize. 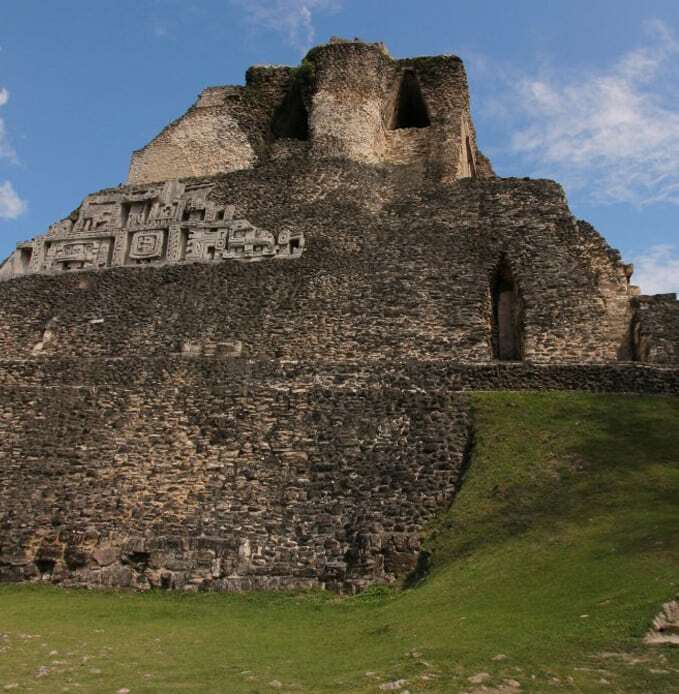 Ruins – Belize is the epicenter of the ancient Maya world and once the home to more than 2 million Mayas. The Maya Ruins are extraordinary structures and you need to visit at least one of them in your week! These awesome structures were erected without the use of iron or the wheel, at a time when Europe was in the Dark Ages! Bring good walking shoes for the paths, a long-sleeved shirt for mosquitoes and a camera! The Green Horizons Flats Fishing van and driver will pick you up at your hotel, the driver will lay out the day’s events, and we are on the road! The van carries a cooler with water and we can stop for soft drinks and snacks. At lunchtime, we find a great restaurant near our destination and relax a bit before heading off for the rest of the day’s adventure. Choose a ruin you want to visit and we can suggest some stops to add in for a great day’s adventure. Xunantunich – (Zoo-nahn-too-neetch) “Maiden of the Rocks” We head for the village of San Jose Succotz and the Mopan River. The ferry takes you across the River, and a short walk or drive will get you to this impressive Site, which is well-excavated and easily accessible. There is a small museum and well laid-out structures. 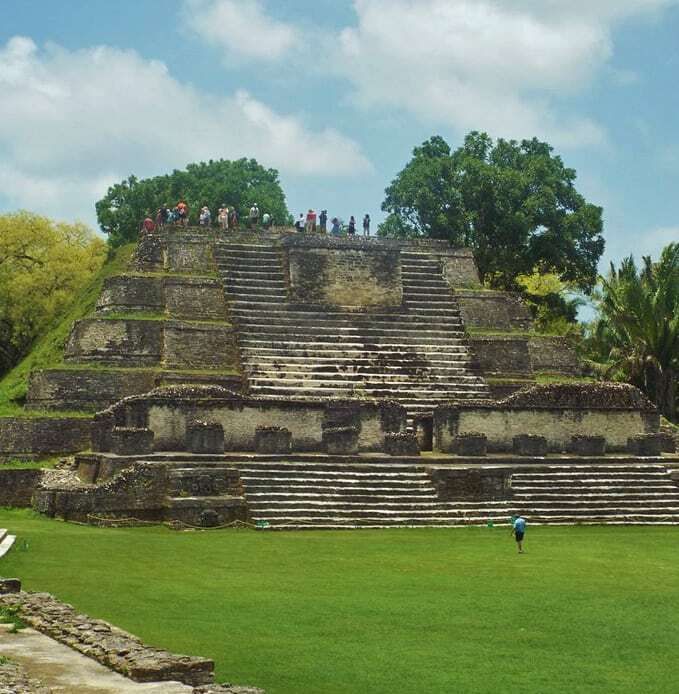 Xunantunich has the second highest structure in Belize at 133 feet tall! Look for the Rain God and Sun God masks on the side of the temple, six major plazas, and more than 25 temples and palaces. Vendors at the ferry sell colorful souvenirs. After seeing the Ruins, we will stop at a comfortable restaurant for lunch before continuing the adventure before heading home. Lamanai – In Maya, meaning “Sunken Crocodile”, this is one of the largest, oldest and most well-preserved Maya Sites. Situated on the New River, Lamanai was a major trade route, and well inhabited for over two millennia. The total Site includes two Christian churches and an abandoned 19th Century sugar mill in addition to the Ruins. Green Horizons Flats Fishing will pick you up at your hotel and drive to the River Taxi on the New River to take you to the Lamanai Site. The water taxi alone is a nature lovers paradise! The River Guides point out all kinds of wildlife on the New River, as well as the history and facts about Lamanai! Altun Ha – “Stone Water” in Maya. This is another very impressive Maya Site first settled around 150 AD. Thirteen structures surround two main plazas. It served as a major ceremonial and trade center with 10,000 inhabitants. By 1000 AD, the town was mysteriously abandoned. Archeologists noted the desecration of the tombs was not recent and theorized there might have been a peasant revolt. The pond at the back of the Site is believed to be an example of a pre-Columbian waterworks project. Archeologist David Pendergast found some very odd things – there were no stelae, the tombs were for priests, not warlords or rulers and a mysterious substance of jade and copal had been smashed and scattered in sacrifice. In the tomb of a priest, they found a massive, carved jade head of the Sun God, 14.9cm high and 4.42kg. Jade is not found in Belize. They also found shells from the Pacific Ocean and green gold obsidian. When we are ready for lunch, we go to one of the great restaurants in Orange Walk, before heading home. There are two major ruins in the Corozal District which are worth seeing. You can see both in one day and add lunch in the middle, ending the day with a with a Belize sunset and some refreshments on the porch. This is an great trip van combining both stops with a lunch stop at a seaside restaurant. We combine the next two sites with lunch in between. You have the option to go by boat to Corozal, be picked up at the pier for a quick drive to the Santa Rita Ruins. When you are ready, the driver returns you to the Corozal Pier where we board the boat to the New River, east of Corozal. The River is a nature’s wonderland of birds, fish, manatees, and mangroves. We may stop at the New River Stop for a cold drink before heading back to the sea and the Cerros Peninsula, the Cerros Ruins and Museum. We will have lunch at Bill and Jenny’s Cerros Beach Resort, which is next door to the Ruins, before heading home. If you prefer, we can do the whole day in our van with lots of interesting stops along the way. Cerro Maya – “Maya Hill” sits on 43 acres on the Cerros Peninsula east of Corozal. This too was a pivotal trading center from 400 BC to 100 AD, mainly trading salt. The theory is that changing trade routes accounted for its short life. Excavations reveal five temples, one is 72 feet high, with related plazas, a canal system, and a stunning view of the Sea! After exploring the Museum and walking among the Ruins, we drive a short distance for a delicious lunch at Bill and Jenny’s Cerros Beach Resort. You can ask them about living in Belize – they have been here 12 years! 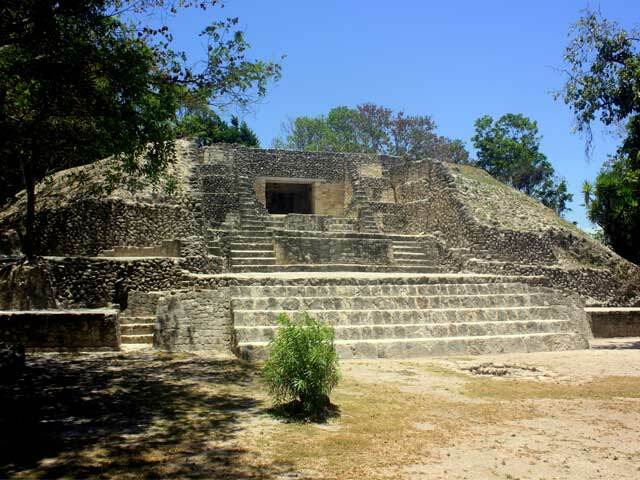 Santa Rita – On the outskirts of Corozal Town, Santa Rita was another Maya city with a commanding role in the trade along the Yucatan Peninsula with Mexico and Guatemala. 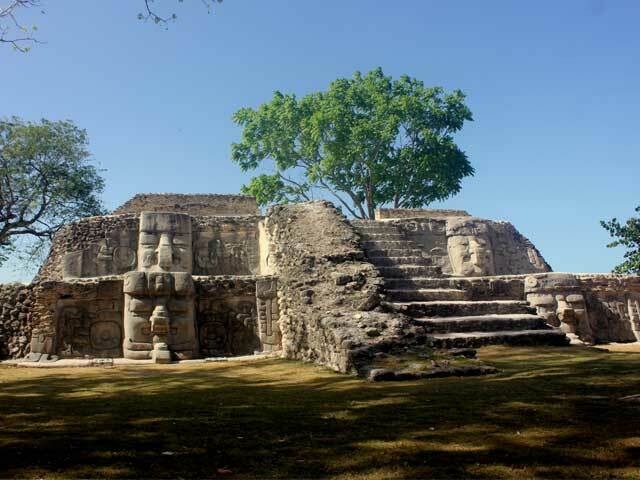 Once thought to be the ancient city of Chetumal, it covered all of what is now Corozal Town, with 32 mounds. Santa Rita dates back to 2000 BC and was still thriving in 1531, when Spanish troops attacked it. The Maya fought back but the Spanish severed the valuable trade routes to Bacalar and the city was abandoned. Murals were discovered showing life at the time, jade jewelry, pottery figures, two important burial tombs. Today, the Maya bring culture to life at different ceremonies at Santa Rita during the year. We also include a tour of Corozal Town with stops at the Town Hall, the Park and the old prison. With much of the geological structure of Belize being porous karst limestone, little wonder Belize has the most extensive network of caves in Central America which the Maya used for ceremonies and rituals. They believe the caves to be a mystical portal between the living and the spirit world, Xibalba (She-bal-ba). In the caves, you will see remains of fire pits, pottery, ritual altars, bones, and artifacts. Some caves you can walk down steps into, some caves you have a guide in a canoe with a headlamp, and some caves are perfect for cave tubing on your own. They are very quiet inside, maybe you will hear water dripping, and feel the cool on your warm skin. Magnificent natural formations are above and below, stalactites, stalagmites, crystal caverns and underground waterfalls. 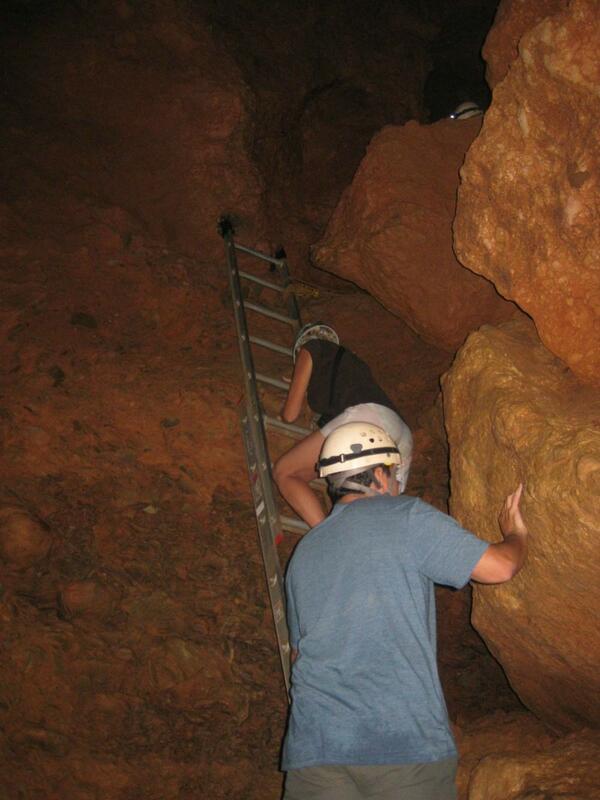 You do not want to leave Belize without seeing at least one of the mysterious caves! A full day trip can include a visit to a cave and a nearby ruin with a stop for lunch, maybe sneak in a swim or stop alongside the road to buy homemade goods. 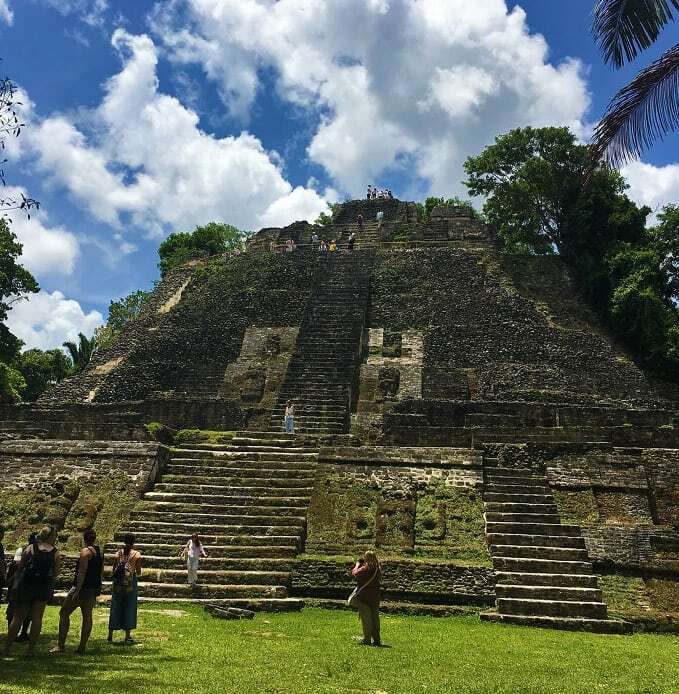 These are fun day trips and give you a glimpse into more of what Belize and the Maya are all about. Every cave offers something different. Let us put a day’s adventure together for you. The Green Horizons Flats Fishing van and Guide will pick you up early to begin your day. The van has a cooler with water and stops can be made for soft drinks and snacks along the way. Our Guide will point out places of interest, maybe stop to see something interesting or share bits of history in the area. We love questions about what you see in Belize. Your day is at your pace, no timetables and everyone enjoying the drive. We would love to put together a great day for you and your family! Here are some of our fav caves – how about cave tubing through the Maya world! !